Join the Whisky Chicks (dudes welcomed) as we journey to Bardstown, Kentucky and enjoy a fun filled day of history, science, artistry, food and of course delicious Kentucky bourbon. We will start our day off meeting up at The Paddocks Shops where we will start our journey with light refreshments on a luxury bus from R&R Limo. As part of our tour, we will experience the independent spirit and artistry of Heaven Hill. 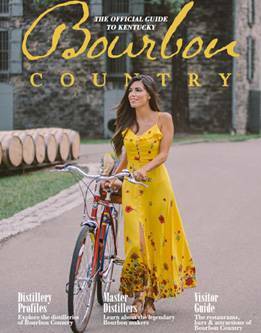 The Whisky Chicks have been invited to partake in a specially prepared Brunch and a VIP behind the scenes tour of the Bourbon Heritage Center. Nestled in the heart of Historic Bardstown, the Bourbon Heritage Center celebrates the history of the industry and provides visitors an immersive American whiskey experience.